Pest issues in restaurants are a common occurrence, but increasingly customers are becoming less and less tolerant to their presence. The presence of pests is a sign of poor practice in your outlet and can not only spoil a customer’s dining experience, but additionally pose a risk of food contamination. 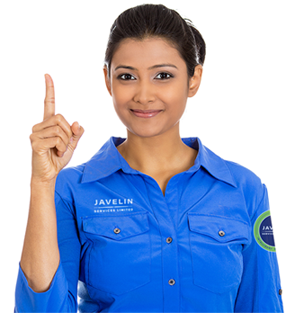 Javelin is acutely aware of protecting your reputation and ensures that the presence of both our technicians, equipment installed and procedures made are as subtle and effective as possible. We offer modern Fly Control units that are silent in operation and can be installed in dining areas and commercial kitchens, providing an unbothered, fly-free environment for your customers. Reputational damage is quite possibly the largest single expense, especially for the more highly rated restaurants and bars. It takes just one mention of the presence of pests on social media to damage your hard-earned reputation. Pests mechanically and faecal-orally spread pathogens and leave these on food preparation utensils and surfaces. Salmonella and E.coli are common illnesses spread by pests, especially cockroaches. The Public Health Department undertook a sample survey in 2015 of the eating establishments in Yangon, which found that over a third of the establishments surveyed were inhabited by hazardous levels of bacteria. The presence of pests in restaurants and bars is a clear sign that conditions are unhygienic and this can be distressing to customers. Customers may stop visiting as they seek out alternative establishments. In Myanmar, cockroaches, ants, flies, mosquitoes and rodents are the main pests affecting kitchens and bar areas, attracted in by food spillages, food scraps, water leaks and light. Cockroaches often hide in tiny cracks behind or within sinks, cupboards, cooking appliances and can even hide within drinks dispensers. Flies can easily enter kitchens and eating areas through doors and windows and are a sign of uncleanliness. Mosquitoes in your dining areas can make for a very uncomfortable guest experience and the potential contraction of the Dengue or Zika virus. Rats and mice are often seen darting along walls and behind furniture. They gnaw through cables, and can spread diseases such as leptospirosis. With an Integrated Pest Management approach, your Javelin service team will detect, assess, treat and monitor any pests for long-term protection. We use a range of tailored solutions, including hygiene and proofing advice, spraying and gelling in the most targeted applications, to avoid the risk of potential food contamination and guest health issues. After a detailed inspection, a combination of IRS (Internal Residual Spraying) and IGB (Insecticidal Gel Baiting) treatment would be administered to eliminate the infestation as quickly as possible. Post treatment, monitoring devices will be deployed, where necessary, to monitor activity and to detect a re-infestation at as early a stage as possible. Javelin offers a wide range of Insect Light Traps that use unique encapsulation technology and adhesive boards to capture and kill flying insects. Coming in both decorative and functional designs, our fly killers are silent in operation and can be installed in commercial kitchens, food and beverage outlets and hotels, providing an untroubled, fly-free environment for customers. We have a number of different solutions for mosquitoes including thermal fogging, larviciding and ULV treatment. For inside areas, our pioneering Mossoff repellent can prevent mosquitoes coming inside and offers 24 hour protection for 1 month. Generally inside food and beverage outlets, we recommend the deployment of snap-back traps and/or sticky boards with the deployment of anticoagulant rodenticides in secured bait boxes in external areas. Our surveyor will be happy to discuss options with you to safely achieve a rapid reduction in rodent numbers. Mosquitoes are the most common issue outside and can ruin a guest’s experience. They are especially prevalent in outside areas that have plenty of vegetation. Mosquitoes are at their most active between 5pm and 7pm when many guests will be outside enjoying the sunset. Rats, mice and cockroaches are often seen scuttling around waste sites and drainage systems. Living in these unsanitary areas means these pests pick up bacteria and disease, which they can then carry into your restaurant. Solutions for outside spaces such as outdoor eating areas & bars and recreational gardens, can be both targeted and comprehensive. Our surveyors will be happy to discuss options and budgets and come up with the most appropriate solution to fit your needs. The application of anticoagulant rodenticides in secured bait boxes and/or snap-back traps and sticky boards (where appropriate) along the restaurant’s perimeter fence and exterior walls to safely achieve a rapid reduction in rodent numbers. The presence of flies can be a real annoyance to your customers. Electrified grid models can create unhygienic conditions by causing the fly body to explode, leaving body fragments on surfaces below. ILT’s use glue-boards to trap flies that remain attached to the glue-board. There is no risk of food contamination and tests have shown that glue-boards catch flies 100% faster than the Electric Fly Killer units. ILT’s are silent in operation, trapping and killing flies discreetly so that guests aren’t disturbed by any zapping sounds. Mossoff is an all-natural, non-toxic, pesticide-free mosquito repellent. Mossoff contains essences of lemon grass and eucalyptus, so it acts as a general air freshener, as well as a highly effective mosquito repellent – perfect for communal areas, restrooms and guest bedrooms. Mossoff is gently fanned across a room by a small discreet unit, protecting a 400 sqft area and working 24 hours a day for a whole month, giving you longer lasting protection, compared to the average 4 hour mosquito coil. We will install Mossoff dispenser units in all desired areas and replenish the units with new Mossoff cans on a monthly basis. Mossoff is also available to buy separately, please ask one of our Sales Team for more information. 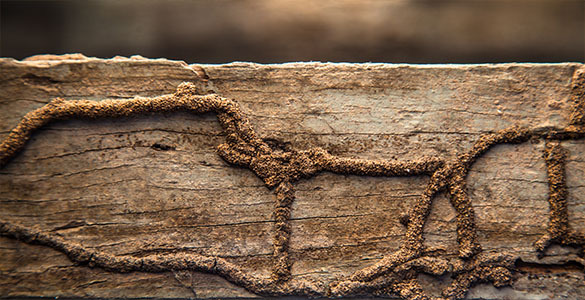 Termites can cause devastating damage to buildings, wood furniture and wood fittings. Early detection and resolution is paramount to prevent costly destruction of the building, fixtures and furnishings. Termite Baiting – the least invasive termite treatment, where termites feed on baits and carry the AI (Active Ingredient) back to the nest, killing the colony. Termite Drilling – obstructive, yet effective treatment, where we drill into the soil and pump in termiticide, which not only eradicates the active termites, but can also protect your property for up to 5 years. There are many other pests from snakes to wasps that can cause problems for your business.